Jade Simmons got her life back on track and found a new career with help from us following a serious car accident. 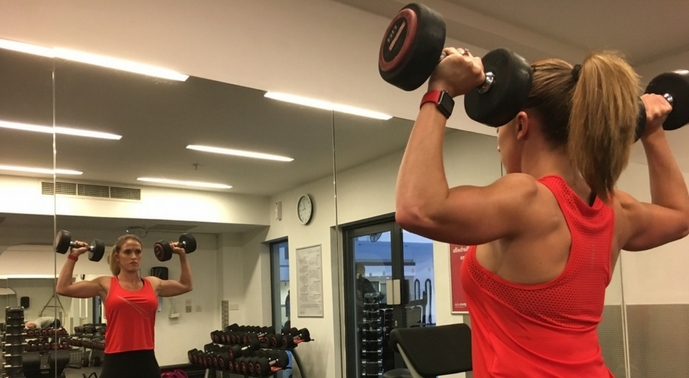 For Jade Simmons, it was a life-changing decision that led to a career in fitness – six years after being told that she would never walk again. Jade, 25, first came to the YMCA gym, back in 2007. She hoped to rebuild her strength and combat the mild depression she encountered following a serious car accident which hospitalised her for three months and left wheelchair bound through most of her recovery period. With help from Club staff, Jade’s exercise programme aimed at increasing her walking and strengthening her weaker left-hand side: “It was the best thing that ever happened to me and I loved it.” She went from strength to strength and, before long, had completed a Coachability course that enabled her to help others with similar disabilities to become more active. Jade started to turn the seemingly impossible, back to possible. Gaining a YMCAfit Level 2 Gym Instructor qualification, followed by a Level 3 Diploma in Personal Training, Jade’s determination grew. Jade now works as a Personal Trainer, something she’d never dreamed of before her accident – she plans to keep studying ante- and postnatal exercises in the future. Another positive gained from becoming a PT, is how much Jade enjoys helping her clients achieve their goals. Hear Jade talk about her inspiring journey from car accident to successful career. YMCAfit, YMCA Club and YMCA Awards are all Central YMCA's operations. Read more about Central YMCA and its four operations. In the UK, obesity is spreading to children as young as four years old - so how can we take back control?